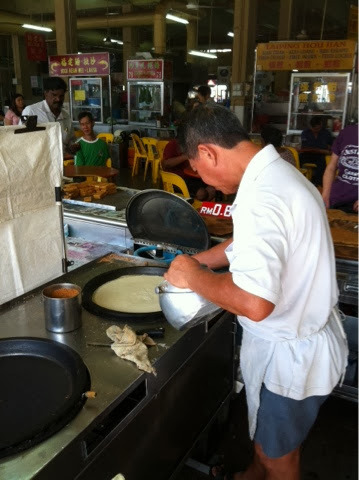 This is one of the most popular & delicious Apam Balik in Taiping. 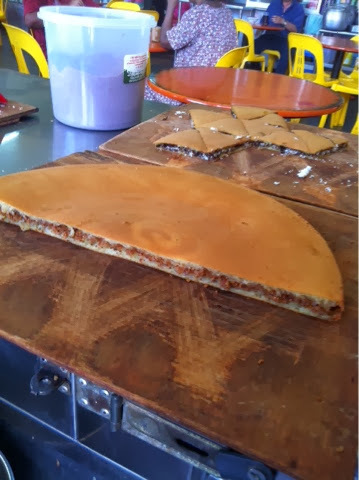 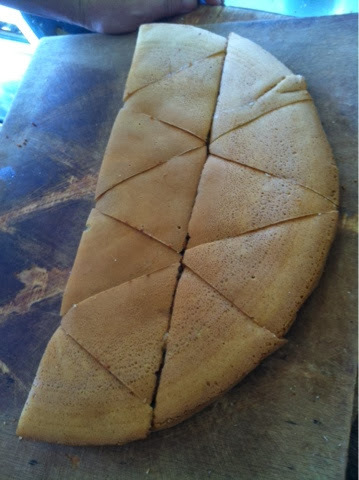 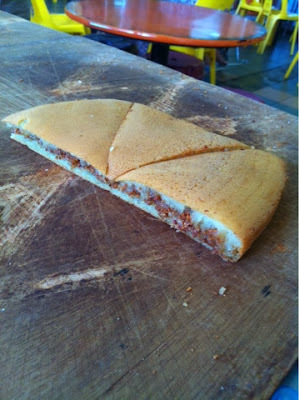 Apam Balik is the tradition Malaysian peanut pancake. 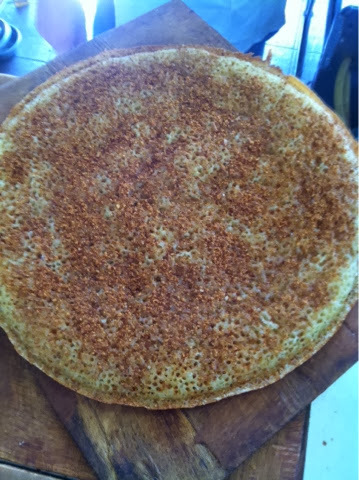 The peanut flake is the main ingredient of the topping, the more flake the better it is. 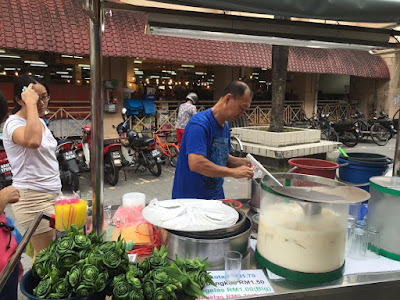 There are two kind of Apam Balik available in the market & here is selling the thick pan size Apam Balik. 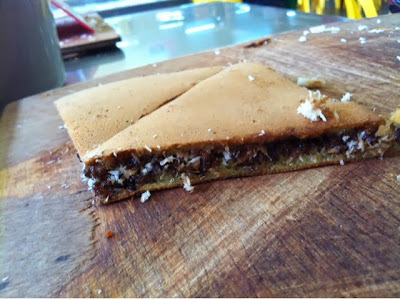 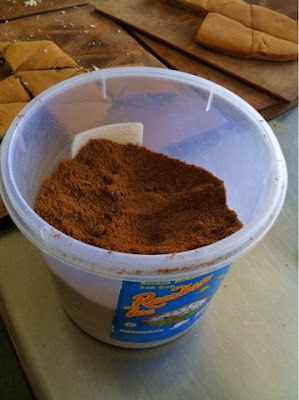 It has a new taste of shredded coconut with brown sugar pancake as well. 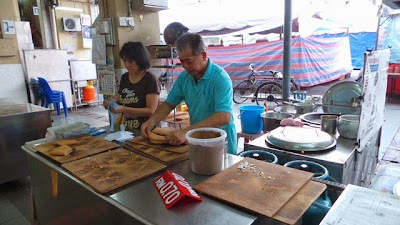 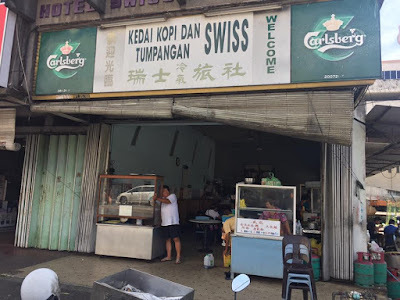 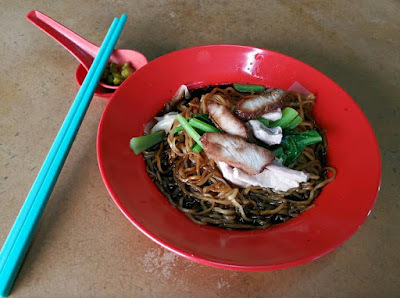 A must try food when visiting Taiping, located at the Jalan Panggong Wayang, Larut Matang Hawker Centre.